High School Musical and 17 Again is what put Zac Efron on the Hollywood map, but his talent and adaptability is what kept him there. Seth Rogen has so many good movies that a lot of people say that Knocked Up and 50/50 were Rogen’s best. Even though the two famous pranksters couldn’t pull off a back stage prank on their fellow cast mates of first Neighbors film, get these two together on screen and hilarity ensues. Their first movie together, the aforementioned Neighbors which came out in 2014, was a box office hit and earned more than $270 million in revenue. In two days, the long awaited sequel comes out. Neighbors 2: Sorority Rising is about a sorority moving into the house next door and threatening the sale of Mac (Seth Rogen) and pregnant wife Kelly’s (Rose Byrne) house. 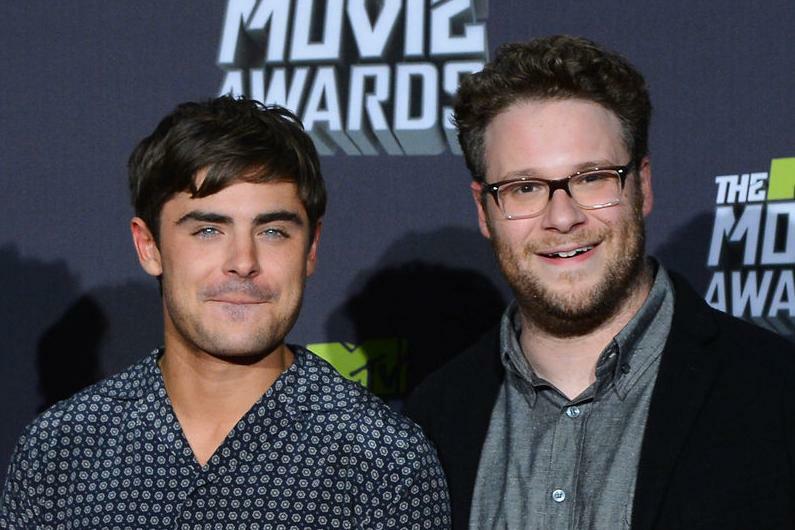 The duo enlists former neighbor friend/enemy/friend Teddy Sanders’ (Zac Efron) help. The former college student comes to help them and reunited together, the trio comes up with wild and crazy schemes to get the sorority off the block. This movie is sure to get you laughing so hard you cry. Check it out, May 20th.